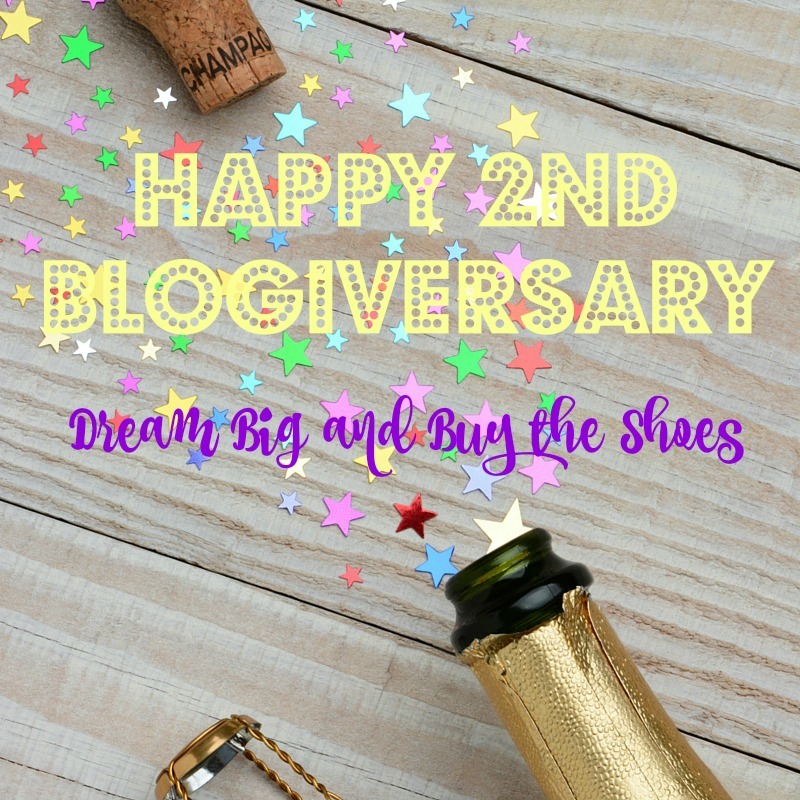 Dream Big & Buy The Shoes: Happy 2nd Blogiversary Dream Big!! 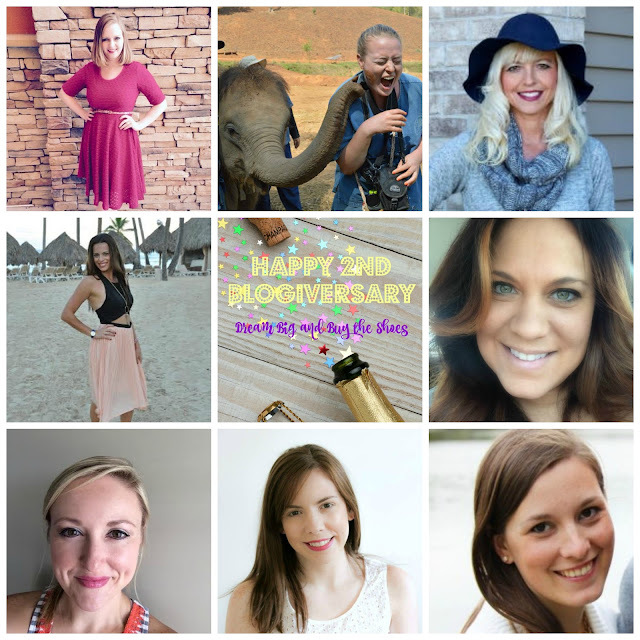 Happy 2nd Blogiversary Dream Big!! Today marks two years of writing here at Dream Big & Buy the Shoes. As I sit and write this it almost doesn't seem real. How can two years have gone by so fast? In the same sense, I've learned so much and really found my groove and what works for me in this blog world so sometimes I feel like a seasoned blogger. I've gone from putting out new posts and stressing myself out 5 days a week to writing comfortably 3-4 days a week and learning how to balance it all. I've learned to stop following things and voices I simply don't believe in because life should be about listening to your heart. I've really become more comfortable speaking my mind and have really come out of my shell even more and discovered what works for me. This may sound a little dramatic, but I seriously wouldn't be here without all of you. 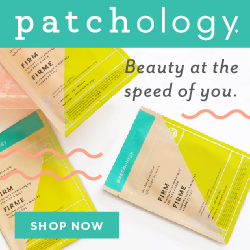 The feeling I get reading comments about how I've helped someone feel better or when they find a new great mascara that will save them some money or connecting over a love of Las Vegas...THAT is what makes this all worth it at the end of the day. Having a blog and a "following", a group of friends who comes together each day to support one another is a truly amazing feeling. I am constantly lifted up by so many of you. You encourage my passion and help me live an even greater, more blessed and fulfilling life, so THANK YOU! I thought in honor of my 2 year Blogiversary that I would list out 2 favorite things in a variety of areas and posts, etc.. to make this celebration fun and take a moment to reminisce. In celebration of two years I thought something really great should be given away to my readers to help kick off this party! You may have heard me talk about my obsession of the Champagne Glow Palette from Becca Cosmetics and Jaclyn Hill. I scooped one up during the pre-order and I'm convinced you all need one too. 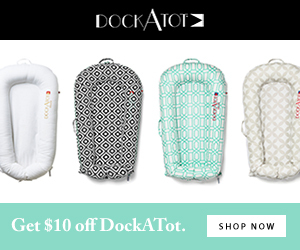 The official launch of the palette was yesterday, so how about a chance to win one? The fun doesn't stop there....a $50 Sephora gift card will be given to one lucky winner WITH the palette. 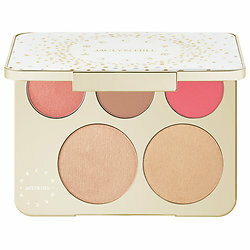 So let's pop the champagne (palette) and get this party started! A celebration is in order for 2 years of blogging at Dream Big & Buy the Shoes and a bunch of my blogger babes are helping me with all the fun. A group of us have put together the chance to win a $50 Sephora Gift Card and Becca x Jacyln Hill Champagne Glow Face Palette to ONE LUCKY WINNER. Details are listed in the giveaway widget below. Thank you ALL for your endless support, sweet comments, kind gestures and simply showing up to read my happy place on the Internet. In a million years I couldn't ask for a better place to come to each and every day--you make Dream Big and Buy the Shoes one of my greatest dreams come true. I hope you have the best weekend, do some celebrating with me. Good Luck, Enjoy...and don't forget to Dream Big....and always Buy the Shoes!! XO!